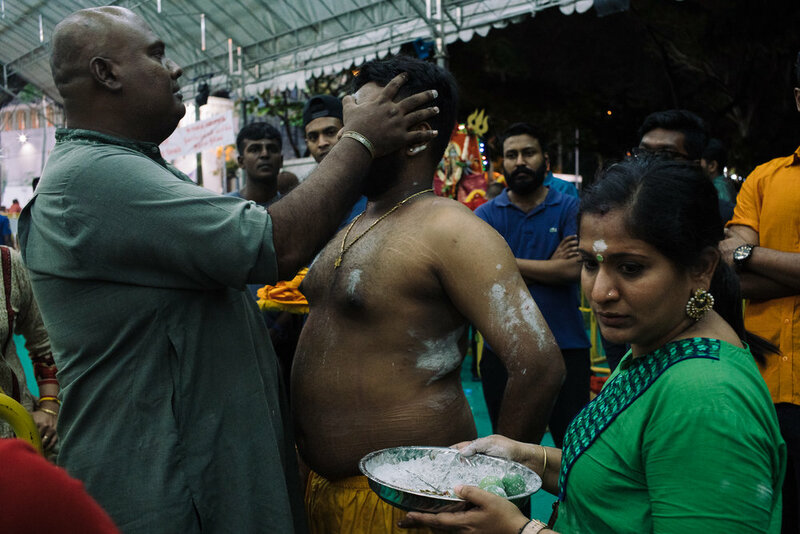 "Thaipusam is a festival that is celebrated by the Hindu communities all over the world when it is the full moon day of the Tamil month, "Thai," while "Pusam" refers to a name of a star. So the name of the festival is actually a combination of a special day in the special month of the Tamil calendar. It is an occasion to honour thanksgiving which also includes asceticism and control over one's senses. 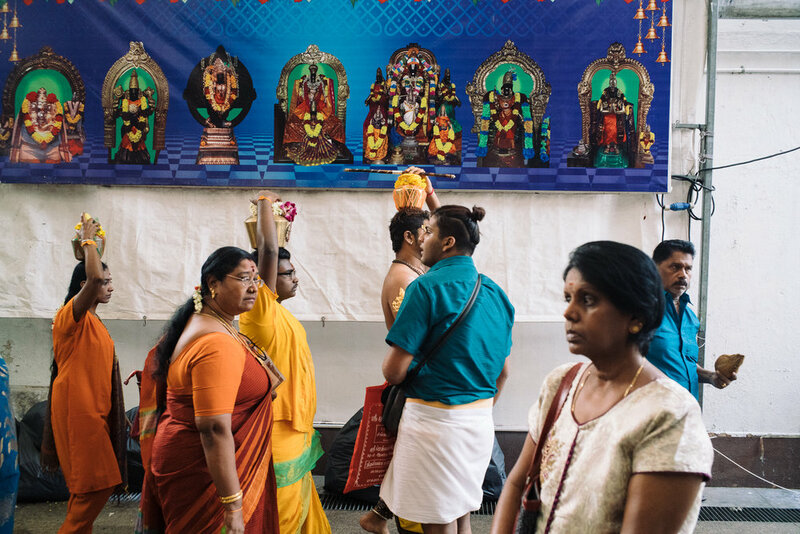 On top of that, devotees also come together on this day to celebrate their full commitment to their vows," an excerpt from the official festival website. 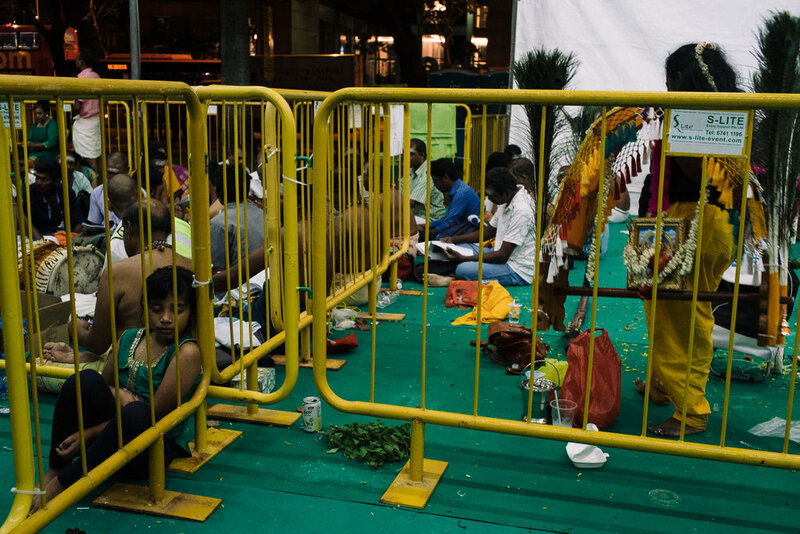 Beyond than just its ritual and traditional meanings, Thaipusam is also a festival of colours. There were different kinds of hue and palette with varying intensities at every corner. Groups or families of devotees that participate in the festival would come with their own "matching colour" and when that adds up to the thousands of people who attended the 2-day event, what it creates is more than just a cultural but also a sensually visual experience. But even though there was a wide range of colours for the eyes to take delight in, all of them had one element in common - the warmness in them. The same kind of warmth that fills up the atmosphere as each devotee welcomes every interested non-Hindu outsiders, like myself, in to experience the beauty of their commitment to their faith. Being a religious affair, some would assume that it will be hard to gain their acceptance into the Hindu community but that wasn't the case at all. Even the volunteers who were on stand by, giving out drinks, food and snacks, made sure that everyone regardless of race or religion was well taken care of during the 4km walk from the Sri Srinivasa Perumal Temple to Sri Thendayuthapani Temple in the heat of day. "Fill the frame with as much information as you can and then let the eyes wander around, there doesn't have to be a start or end point, just wander around to each corner,"
Through this practice, I hope that each frame would be able to tell a different story from the rest but collectively enriches our understanding of this Hindu festival.